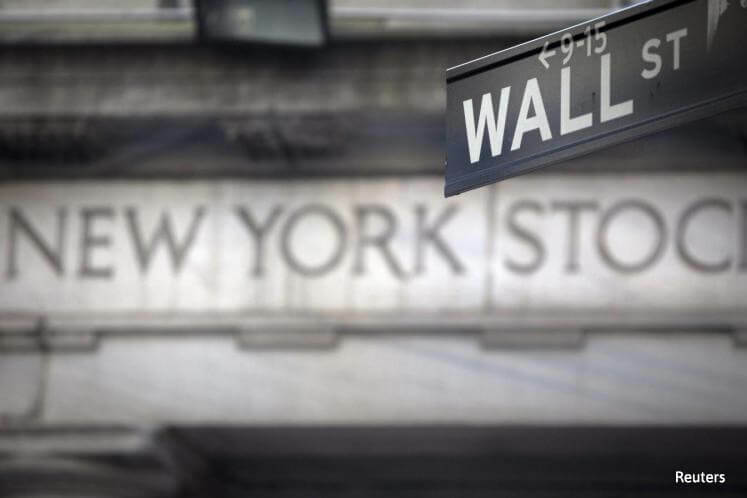 (May 2): Wall Street climbed on Monday, boosted by gains in Apple and other big tech stocks that more than offset weak economic data and pushed the Nasdaq Composite to another record high. Apple shares jumped 2 percent and set a record high, supporting the three major Wall Street indexes. The iPhone maker is due to report its results on Tuesday. The S&P 500 technology index, the best performing major group this year, gained 0.9 percent, with big tech names including Microsoft, Alphabet and Facebook hitting records. Investors braced for another heavy week of quarterly corporate results in an earnings season that has exceeded expectations. Overall, profits at S&P 500 companies are estimated to have risen 13.6 percent in the first quarter, the most since 2011, according to Thomson Reuters I/B/E/S. Market watchers have been looking for results to help justify stock valuations, as the S&P 500 has been trading about 20 percent above its long-term average, based on forward earnings estimates. The S&P 500 gained 4.13 points, or 0.17 percent, to 2,388.33 and the Nasdaq Composite added 44.00 points, or 0.73 percent, to 6,091.60, a record closing high. The Dow Jones Industrial Average fell 27.05 points, or 0.13 percent, to 20,913.46, after notching its best weekly performance of 2017 last week. The CBOE Volatility Index, a barometer of expected near-term stock market volatility, closed at its lowest level since Feb 2007. Financials rose 0.6 percent despite volatility caused by President Donald Trump's comments that he was actively considering breaking up big banks. U.S. Secretary of the Treasury Steve Mnuchin said that economic growth of 3 percent is achievable in the next two years as the Trump administration sets out to dramatically cut taxes. Stock gains may have been muted by a series of tepid U.S. economic reports. U.S. factory activity slowed in April, consumer spending was unchanged in March and a key inflation measure recorded its first monthly drop since 2001. Investors girded for more data later in the week, including Friday's employment report, as well as for the two-day U.S. Federal Reserve meeting starting on Tuesday. "The economic data today is causing some investor nervousness ahead of the jobs report this Friday," said Matt Miskin, senior capital markets research analyst at John Hancock Investments in Boston. Advancing issues outnumbered declining ones on the NYSE by a 1.32-to-1 ratio; on Nasdaq, a 1.37-to-1 ratio favored advancers. The S&P 500 posted 42 new 52-week highs and 12 new lows; the Nasdaq Composite recorded 145 new highs and 55 new lows. About 6 billion shares changed hands in U.S. exchanges, below the 6.5 billion daily average over the last 20 sessions.